Begoniaceae, annual, sowing is recommended in XII–I, (period for growing on seedlings 13-14 weeks) germination 5-10 days at 23-26 °C, and 100% relative air humidity (easier pellet melting and more balanced germination) after germination lower temperature to 22-24 °C, in this time, for watering use water with temperature 18 °C, pricking out 6-7 weeks after sowing, day temperatures 20-21 °C, night temperatures 18-19 °C, is possible growing at 2 °C lower temperatures but cultivation period will be extend. Lighting during forcing will speed up the flowering and ensure the balance of the plants. 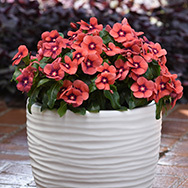 Flower pot size 12-13 cm. 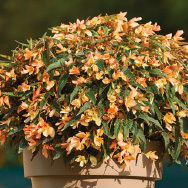 The BIG® F1 series, impress with its spreading habit, height up to 70 cm and especially with size of simple blossoms 5-7.5 cm, three times larger than traditional Begonia semperflorens. 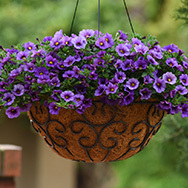 The group with wide range of use, can be used in large landscape plantings, public greenery, as well in flower pots, mixed combinations, hanging baskets. 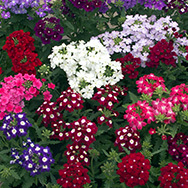 Great tolerance to direct sunlight, shade or rain. The BIG® varieties have self – cleaning ability and good adaptability to wide range of climatic conditions.